Disney's new StudioLAB features dedicated rooms that simulate real life consumer environments. 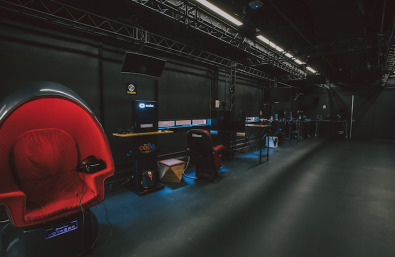 The Walt Disney Company has opened a new creative space on its studio lot where filmmakers and creative teams can engage in hands-on experimentation and exploration of next-generation technologies. The new “StudioLAB” initiative is focused on using cutting-edge technologies to reimagine, design, and prototype the entertainment and production capabilities of the future. Now open and located on the Disney studio lot in Burbank, California, the new 3,500 sq. ft. StudioLAB facility features a number of dedicated vertical market scenarios—like a board room, a living room, a movie theater display, etc.—where new technologies like artificial intelligence, IoT, the future of movie production and next-generation cinema platforms will be employed to seek new applications for how consumers watch and interact with Disney-branded content. Disney has invited "Innovation Partners" like Accenture Interactive (and its design unit Fjord) and Cisco to bring their respective experience with distributed media and next-generation equipment to bear on this joint-development environment. Through these partnerships, and others to follow, the company is hoping push the boundaries of how content can be created and consumed. Accenture and Cisco will provide their extensive expertise in enhancing the remote collaboration experience for creatives and studio leadership, contributing technology to help build a more seamless and secure connectivity for filmmakers, the studio, and third parties. They will also offer efficient and reliable ways to deliver data and assets from the production set to the cloud. Accenture executives said that in addition to collaborating on R&D, its teams would also help design and build the StudioLAB’s charter and governance, physical lab design, and business operations. In a co-located setup, Accenture personnel will work alongside StudioLAB personnel to incubate and prototype new concepts expected to impact the entertainment industry, advancing the way stories are told. 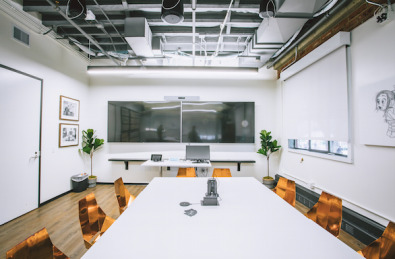 A working boardroom features IP-connected networking technology to encourage unlimited collaboration among Disney’s creative teams. Click to enlarge. The Walt Disney Studios produces feature films from Disney, and includes Walt Disney Animation Studios; Pixar Animation Studios; Marvel Studios; and Lucasfilm. It also brings music and stage plays to consumers via The Disney Music Group and Disney Theatrical Group. All of these divisions could potentially benefit from development work done at the new StudioLAB. The facility recreates different scenes—from a large meeting room to a living room setting, a chief engineering room (with a Cisco infrastructure kit)—to provide engineers working there with real-life environments with which to test their new inventions. “We had been in content distribution and that side of the media industry for a very long period of time,” said Dave Ward, CTO and chief architect at Cisco. “And we’ve been moving for the last four years into the production space—focusing not only live broadcast production (sports franchises, Olympics, and other live events) but now moving into long format content. We like to say that Cisco spent the last 30 years building the Internet and we’re going to spend the next 30 building how people use it. A series of dedicated workspaces support next-generation technology development. Click to enlarge. StudioLAB, which at first will be a studio (feature film) initiative only and won't include participation from the company’s TV station group, is an idea that has been percolating for over a year. He said that the industry has changed in that Cisco and a number of other companies are beginning to realize that they all have to work collaboratively together to move the industry forward. Working with these technology partners and others, Disney is looking to glean the collective experience of Accenture and Cisco in order to support groups of people working and collaborating together in an immersive environment. Cisco’s Ward said Disney would bring that knowledge directly to consumers in Disney’s theme parks, retail stores, movie theaters and a variety of other places that benefit from their form of storytelling. The Walters-Storyk Design Group (WSDG) has designed new podcasting facilities for Gimlet Media, a Brooklyn, New York, podcast production company.